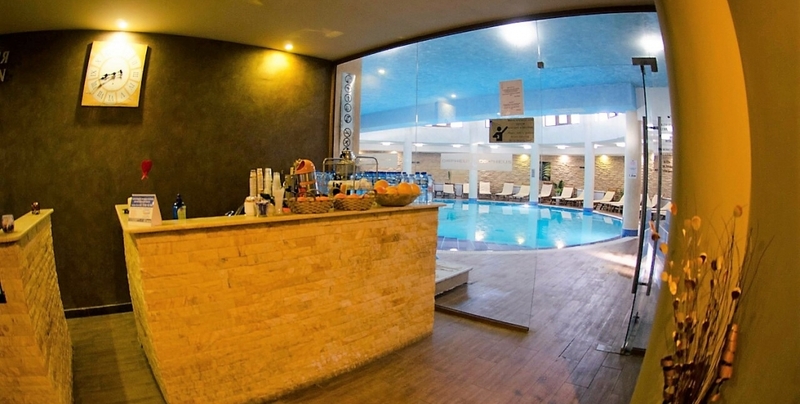 At guests' disposal there is a free SPA thermal area including heated indoor pool with children's section with water temperature given as 28 degrees, jacuzzi, Finnish and infrared sauna, steam bath. 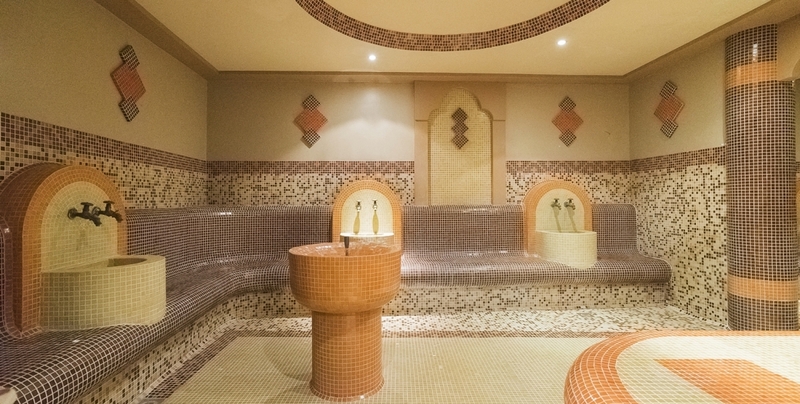 Guests will be charged an additional fee if they make use of the Turkish bath - Hammam, various types of massages - hydro massage bath, massage for pairs. 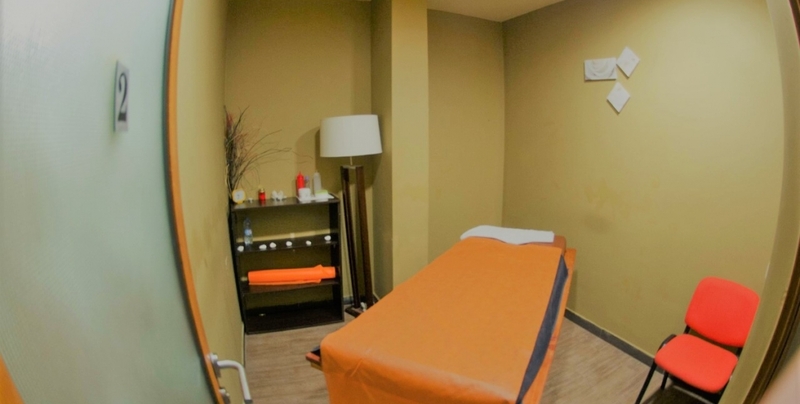 There is also a beauty salon and gym. 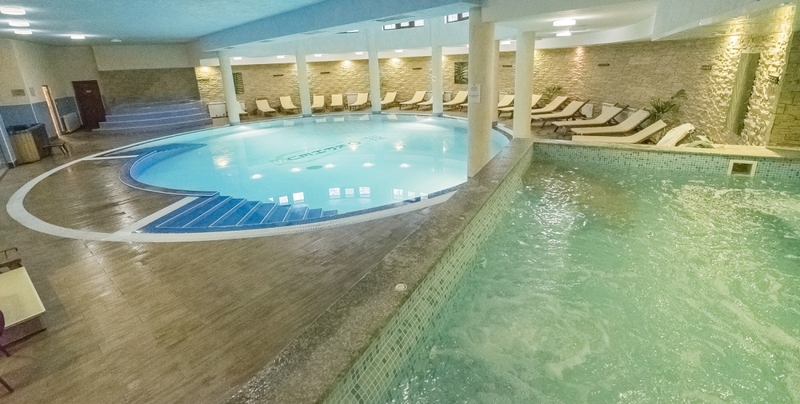 There is also a Vitamin Bar near the pool. 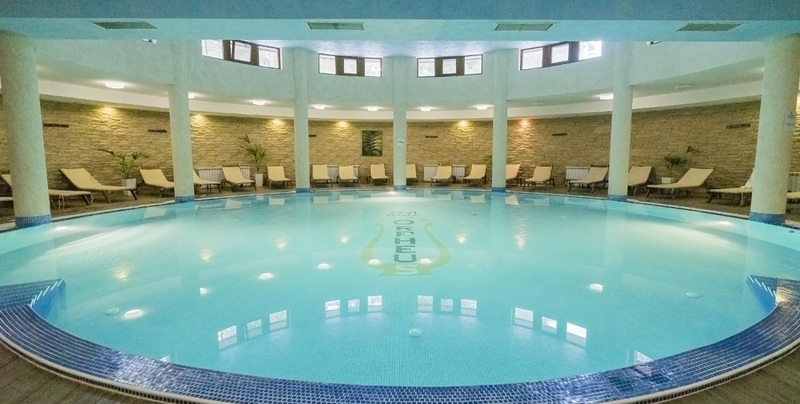 The indoor heated swimming pool with relaxation lounges is situated in the spa center’s area. 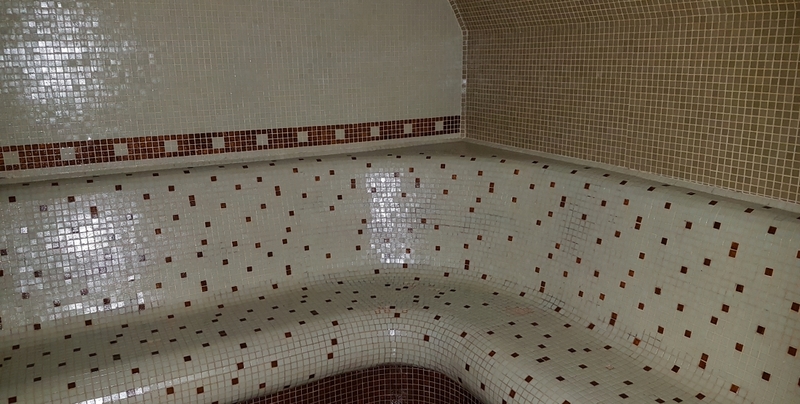 The temperature of the water is set at 28 degrees. 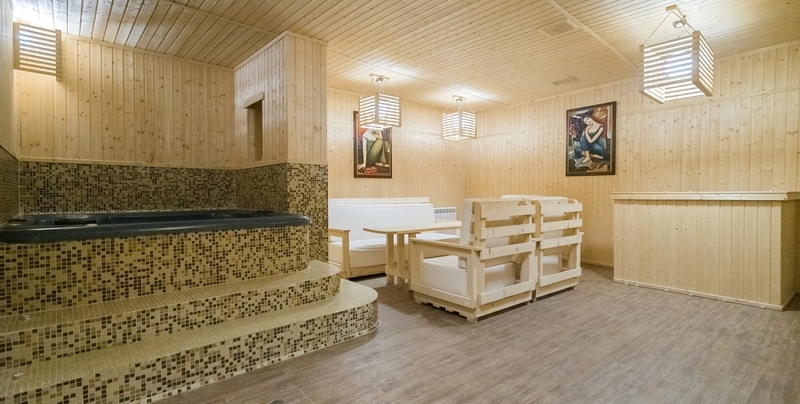 There are two jacuzzis and a small swimming pool designed for children. 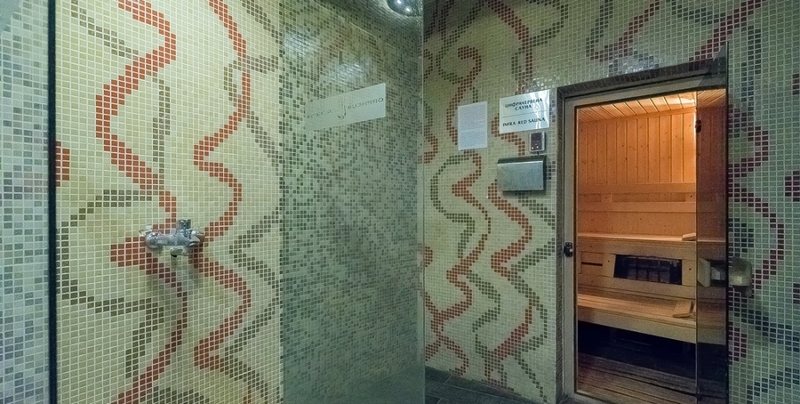 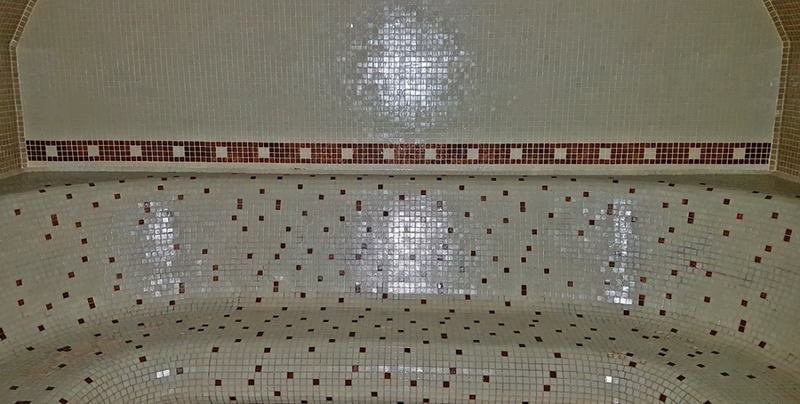 If you want to free your body from toxins, to purify yourself and relax, your place is the only Turkish bath - Hamam. 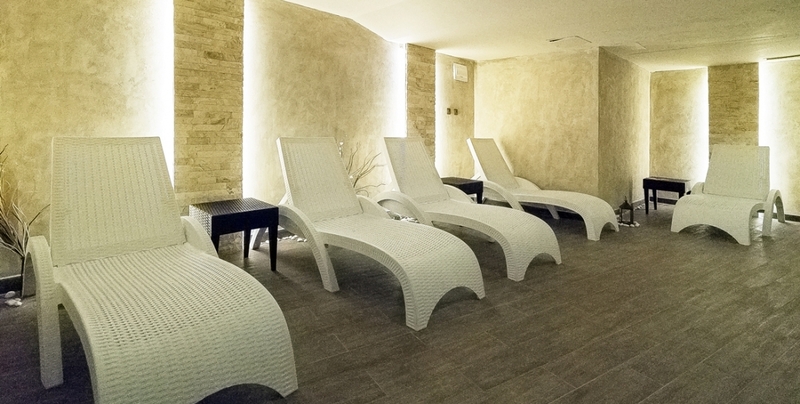 You will feel the warmth of marble stone, steam and moisture in authentic atmosphere. 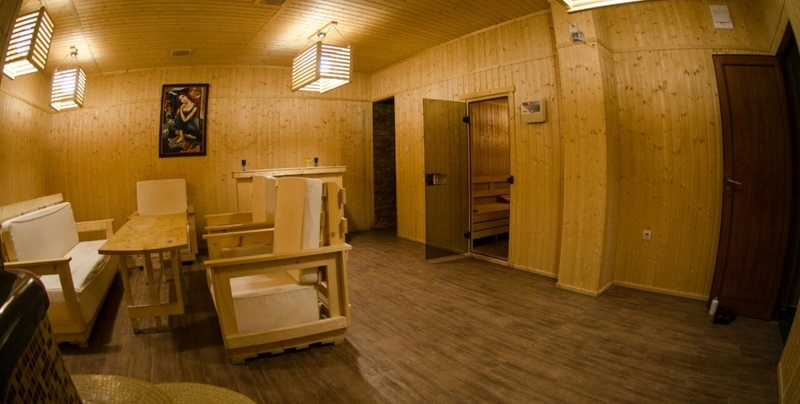 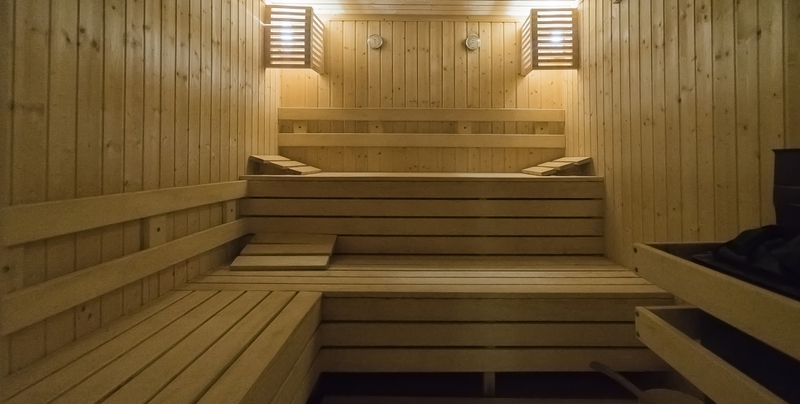 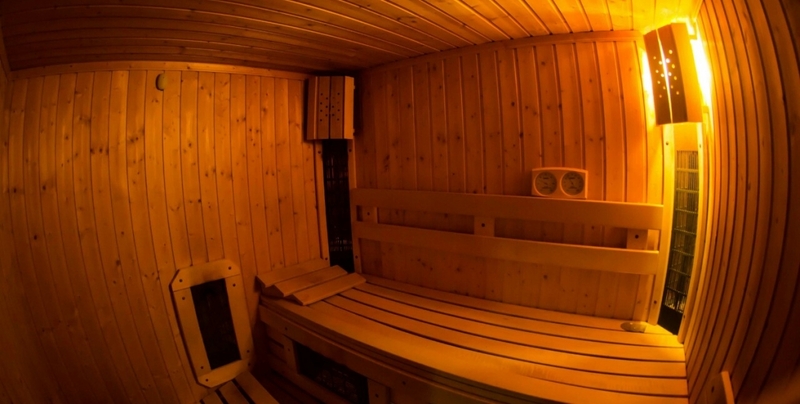 There are two Finnish saunas and an infrared sauna at guests’ disposal. 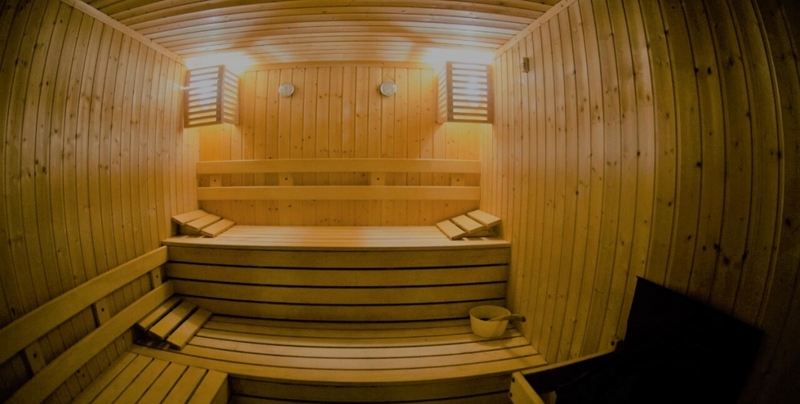 Steam bath is a perfect way to cleanse the body from harmful substances by means of heated steam under pressure; it has anti-inflammatory, moisturizing and pain-relieving action. 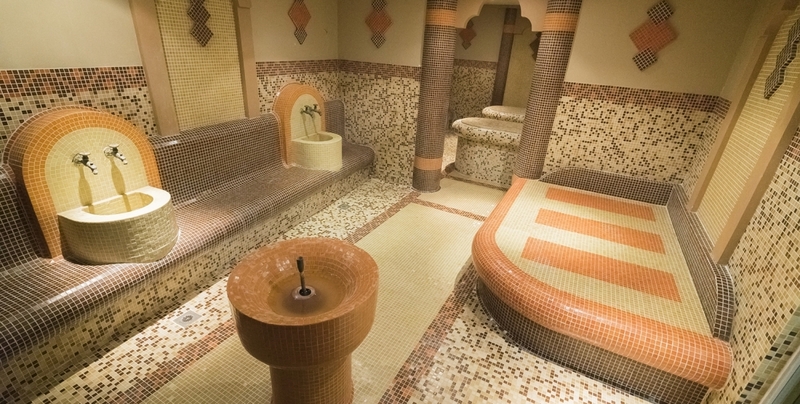 The SPA center has 6 massThe SPA center has 6 massage cabinets, conditions for hydro massage: Vichy shower, hydro bathtub. A massage facility is available for pairs.age cabinets, conditions for hydro massage: Vichy shower, hydro bathtub. 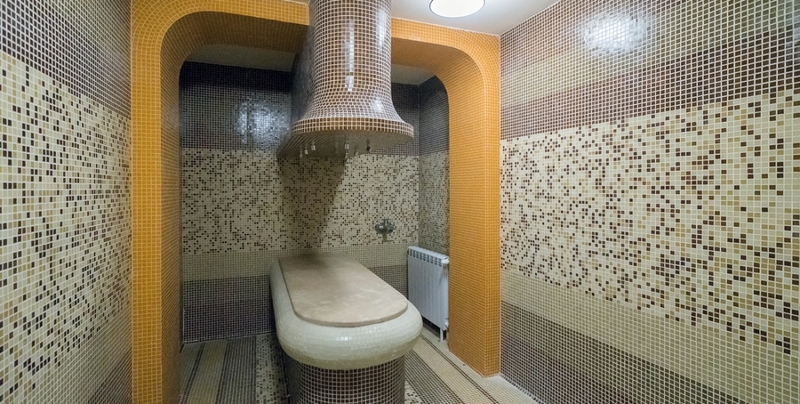 A massage facility is available for pairs. 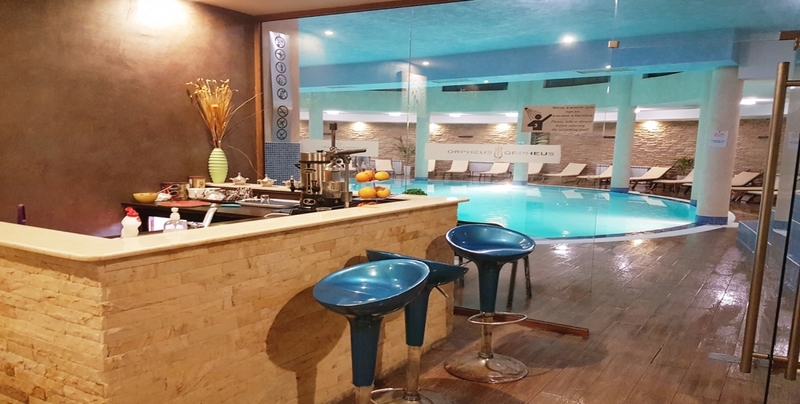 After an exhausting day on the ski slopes or just relaxing and toning your body in the cold winter days, Hotel Orpheus relax area is at guests’ disposal. 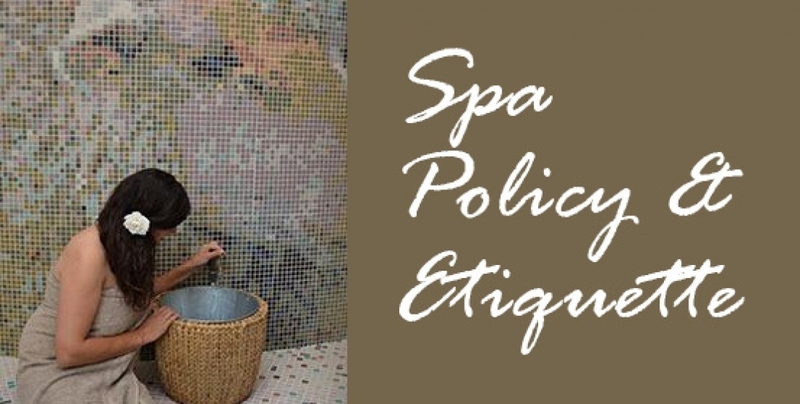 In the SPA center’s area there is a Russian VIP area suitable for companies, with Jacuzzi, sauna, shock shower bucket. 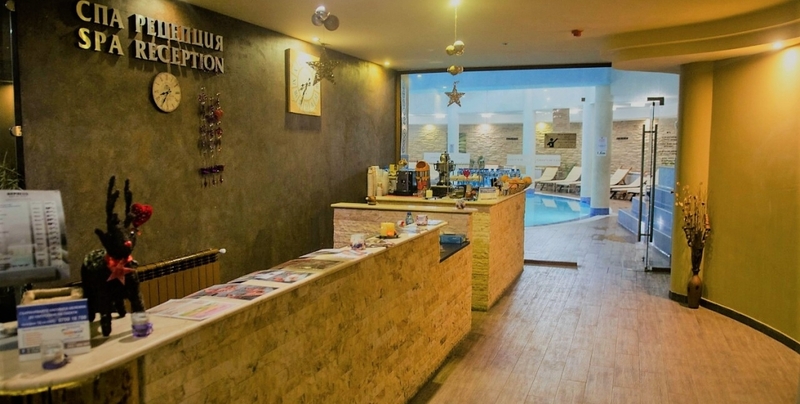 Spa reception and Vitamin bar - The Spa reception and the Vitamin Bar are located in the Spa center and are close to the pool and the relax zone.